SAVE THE DATES! It’s one of the most exciting events on the water, the 2019 River Cities Dragon Boat Festival, benefiting the Children’s Protection Center. June 14 – 15th, 2019. 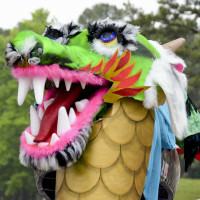 On Saturday, June 15, 2019, teams will compete at Maumelle’s Lake Willastein for the champion title in the fifth annual dragon boat competition. It may be colder outside, but now is the time to form teams and register with the Children’s Protection Center. 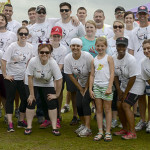 Corporate and community teams can register online for a boat and a fundraising page at www.rivercitiesdragonboatfestival.com Photo Galleries Here. Each team will designate a captain to coordinate the team. This person can be either a paddler or the drummer. Proceeds benefit the Children’s Protection Center (CPC). The CPC works in collaboration with all the agencies that help children in abuse cases from local law enforcement to community mental health professionals. Never paddled a boat? No problem! Our team of experts will show you everything you need to know. Teams race in authentic 46-foot-long, Hong Kong-style dragon boats. They rave about the excitement, friendly competition, and community spirit surrounding the sport.